Lightning strikes the same place twice – contrary to popular belief, according to new research. The expression commonly used to dismiss an unlikely event is wide of the mark, say scientists. This is because the bolts that create a bright flash don’t come out of the blue but along ‘channels’ that are reused. It comprises thousands of antennas spread across northern Europe – and can observe the structure of lightning with unprecedented spatial resolution. 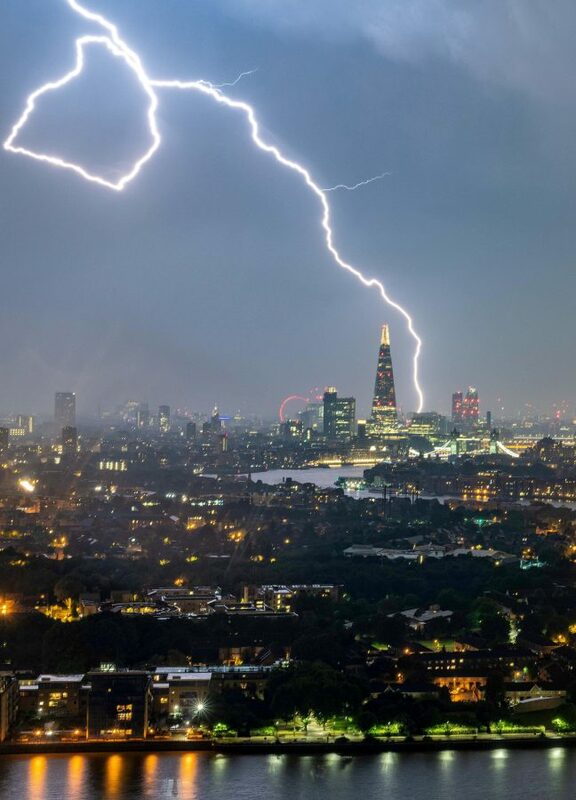 This identified ‘needles’ – structural features up to 100 metres in length – that extend perpendicularly from initially positively charged lightning channels. A lightning flash is a giant electrical discharge. But the negative charges inside a thundercloud are not discharged all in a single flash. They are stored inside the needles through which a negative charge may cause a repeated discharge to the ground. The results published in Nature clearly show the occurrence of a break in the discharge channel at a location where needles are formed. These appear to discharge negative charges from the main channel, which subsequently re-enter the cloud. The reduction of charges in the channel causes the break. However, once the charge in the cloud becomes high enough again, the flow through the channel is restored, leading to a second discharge of lightning. By this mechanism, lightning will strike in the same area repeatedly. “This finding is in sharp contrast to the present picture, in which the charge flows along plasma channels directly from one part of the cloud to another, or to the ground. The reason why the needles have never been seen before lies in the ‘supreme capabilities’ of LOFAR. LOFAR’S antennas are connected with a central computer through fibre-optic cables, which means they can operate as a single entity. The telescope is developed primarily for radio astronomy observations. But the frequency range also makes it suitable for lightning research. Discharges produce bursts in the VHF (very high frequency) radio band. 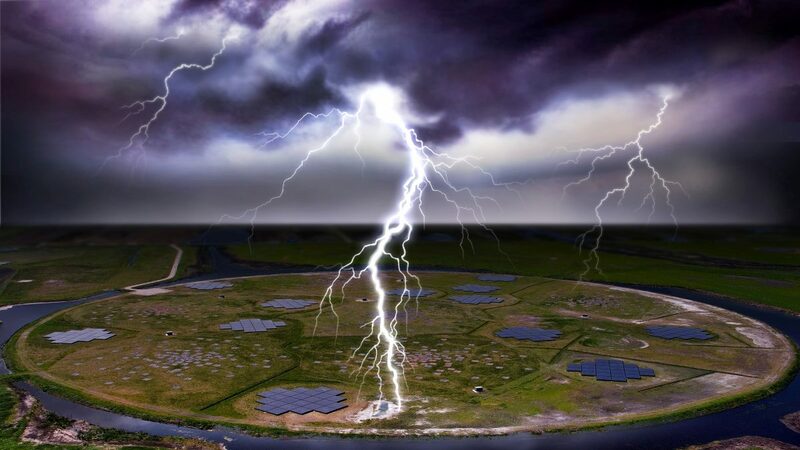 The study published in Nature used only the Dutch LOFAR stations and analysed raw time-traces – accurate to one nanosecond as measured in the 30-80 MHz band. 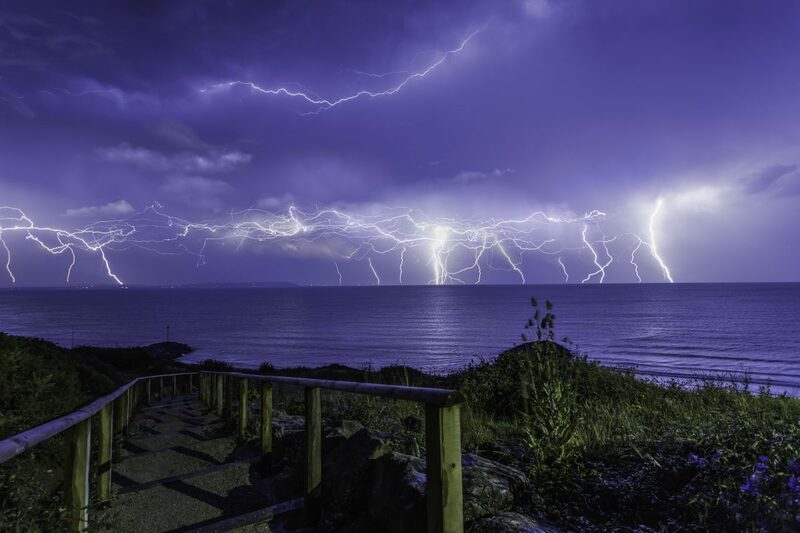 Dr Hare said: “These data allow us to detect lightning propagation at a scale where, for the first time, we can distinguish the primary processes. Lightning occurs when strong updrafts generate a kind of static electricity in large cumulonimbus clouds. Parts of the cloud become positively charged and others negatively. When this charge separation is large enough a violent discharge happens – which we know as lightning. Such a discharge starts with a plasma, a small area of ionised air hot enough to be electrically conductive. This small area grows into a forked plasma channel that can reach lengths of several kilometres. The positive tips of the plasma channel collect negative charges from the cloud, which pass through the channel to the negative tip, where the charge is discharged. It was already known a large amount of VHF emissions is produced at the growing tips of the negative channels. The positive ones occur along the channel – not the tip. Prof Scholten: “The VHF emissions along the positive channel are due to rather regularly repeated discharges along previously formed side channels, the needles.